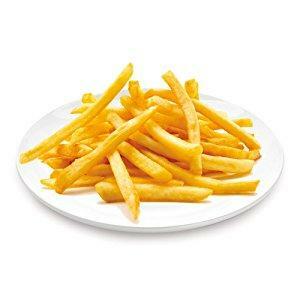 ● Reheatza gives you oven quality crispiness straight from the microwave. ● Perfect for pizza, leftovers, chicken wings, sandwiches, hamburgers and much more! 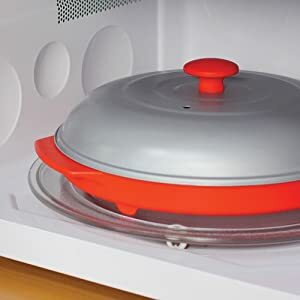 The secrect is the Microwave Energized Heating Pan that converts microwave energy into conductive heat so it cooks like a grill, and the specially designed lid shields microwaves protecting your food from harsh direct energy. Finally, you can now microwave pizza with crispy crust, perfectly melted cheese, and gently warmed toppings. No more soggy snacks or crust. 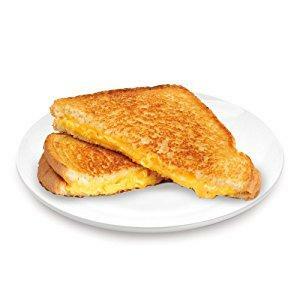 Perfect for frozen and leftover pizza, grilled cheeses, eggs, bacon, and much more. Reheatza is not just made for pizza. 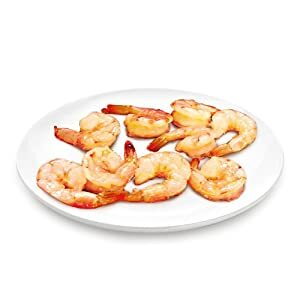 It’s perfect for grilled cheese sandwiches, toasted sandwiches, chicken wings, french fries, frozen shrimp, mozzarella sticks and so much more. Simply follow the instructions in the included Cooking Guide for your specific microwave wattage. *Minimum microwave interior dimensions = 12.5” L x 12.5” W x 5” H.
Can I wash in dishwasher? 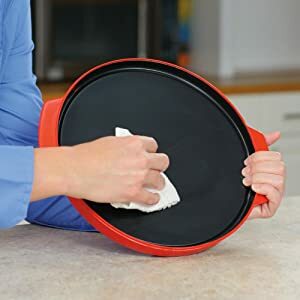 No, the pan is not dishwasher safe and should only be cleaned using a slightly damp cloth or sponge. Submerging the pan in water can cause malfunction. How long to preheat the pan? Preheating is important. To preheat the plan, simply place the pan (without the lid and without food) in the microwave and cook on high for 2 minutes (1200W microwave) or 3 minutes (<1100W microwaves). Do not exceed 3 minutes. How long in between uses? 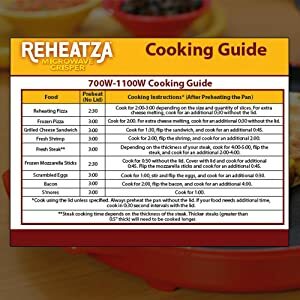 For maximum results, wait 10 minutes or until the Reheatza pan has fully cooled before using it again. My food isn’t hot, now what? Make sure that you are using the instructions for the correct microwave wattage, if you are using the correct instructions, continue to cook your food for 30 second intervals until hot.